"While Intel is sampling 25nm MLC NAND today it's unclear whether or not we'll see drives available this year. I've heard that there's still a lot of tuning that needs to be done on the 25nm process before we get to production quality NAND. The third generation drives will be available somewhere in the Q4 2010 - Q1 2011 timeframe in capacities ranging from 40GB (X25-V) all the way up to 600GB." Wait, did they say 600GB SSD? 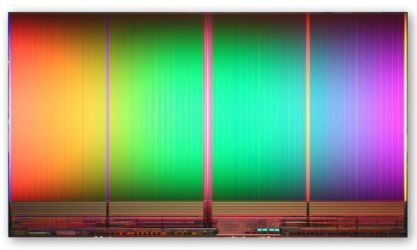 Is it true that SSDs might just start reaching similar capacities as traditional hard drives? Yes, you can get hard drives that hit 2TB, but for most people, they usually end up with something around 320-500GB with a new computer. One still expects a premium for SSD, but with these larger capacities, and hopefully, increased popularity, we might see some economies of scale going on and making an SSD a more standard purchase for a computer. Even if these new fangled SSDs become more cost effective, I would probably stick with traditional hard drives for storage or archival purposes. At least until 600GB becomes 2TB.